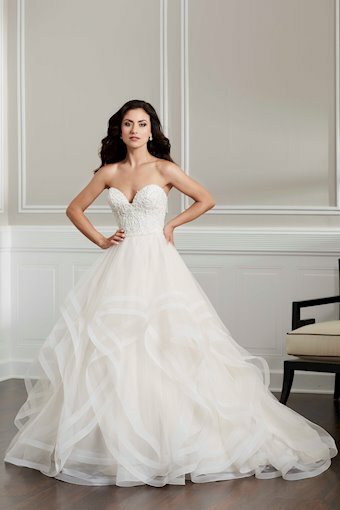 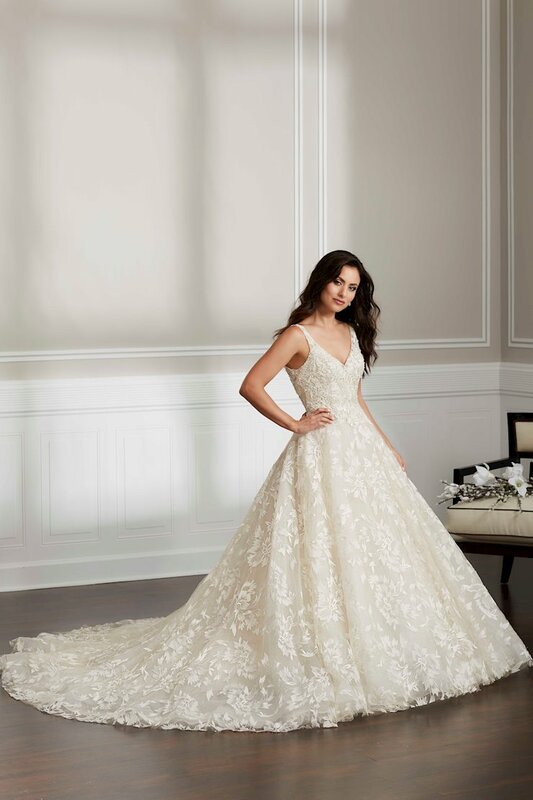 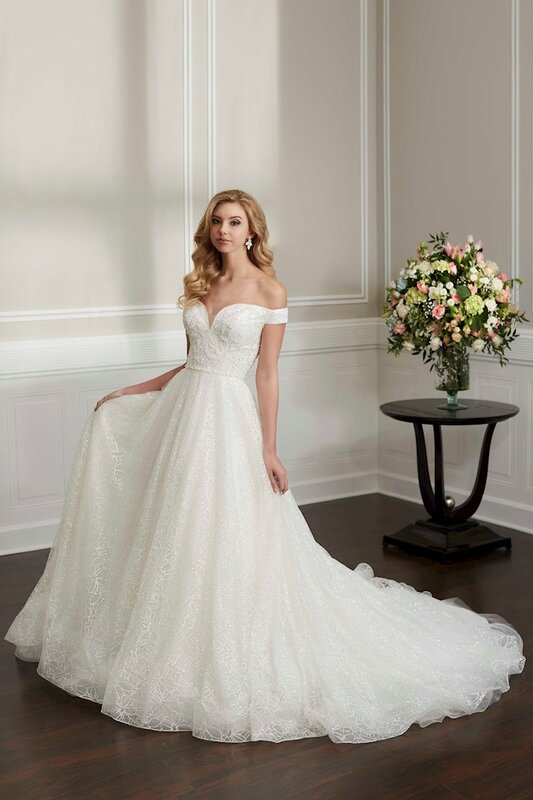 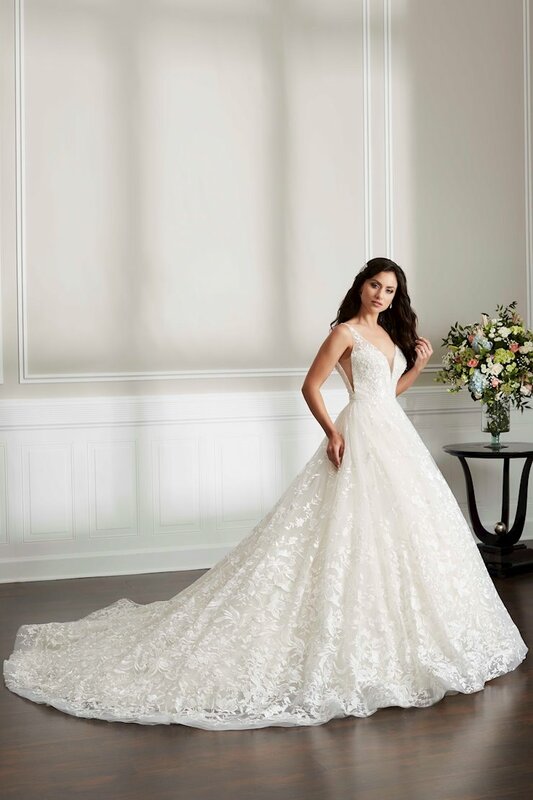 This romantic ballgown has a beautifully beaded lace bodice with a sweetheart neckline. 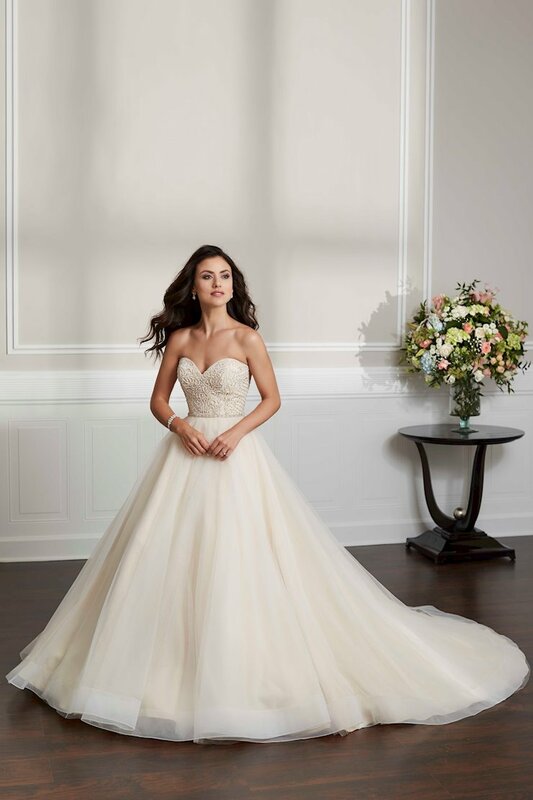 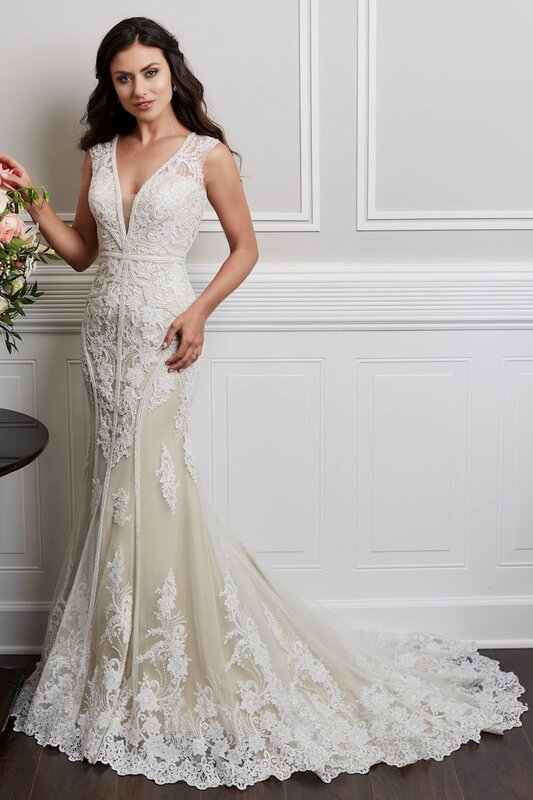 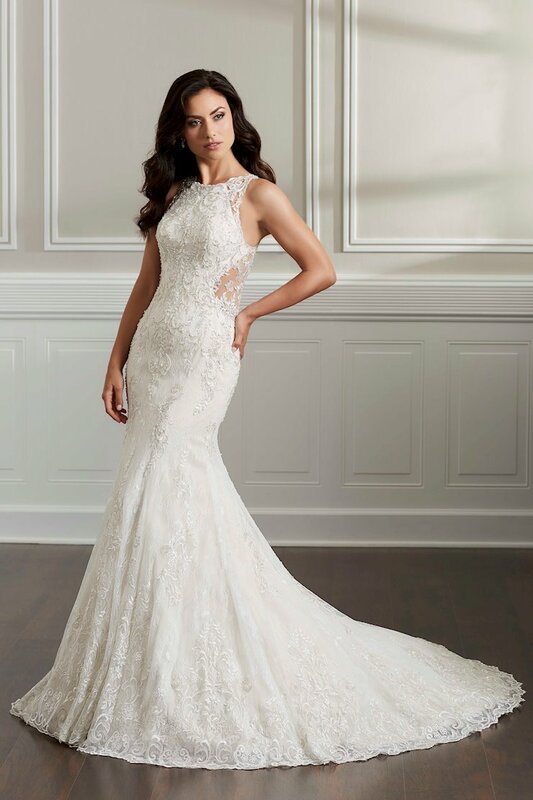 The natural waistline is finished with a thin beaded belt. 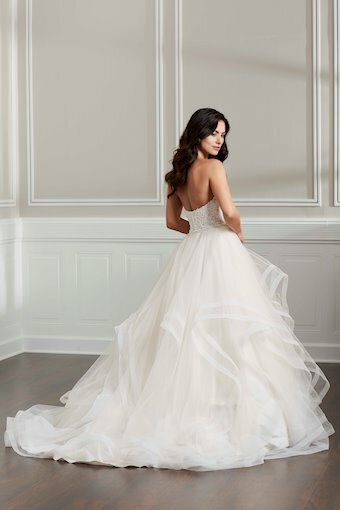 The skirt is made of layers of cascading tulle that have a double horsehair trim detail. The center back zipper is covered with buttons and loops on the bodice.